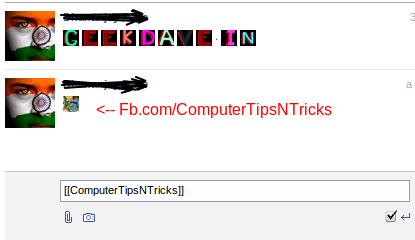 Home » face book trick » Facebook Trick : Send Colorful Text in Chat box or messages. 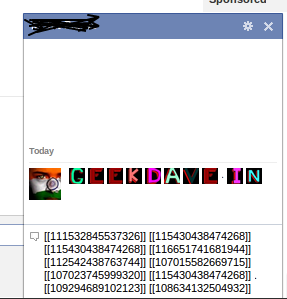 Facebook Trick : Send Colorful Text in Chat box or messages. today i'm going to share another cool trick about Facebook. you can send colorful text (Alphabets) on chat box. 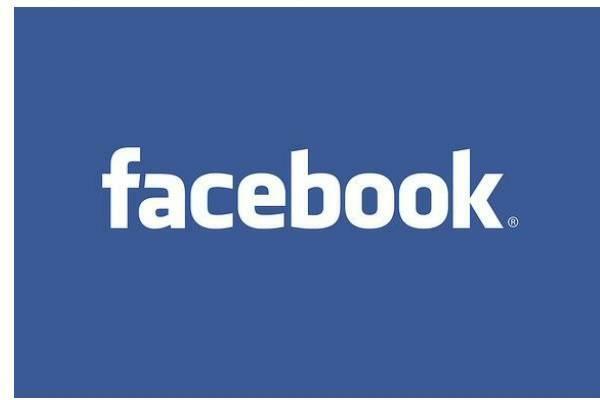 so in this case user name is "ComputerTipsNTricks"
but if you can't find the username then try this facebook.com/profile.php?id="112542438763744"
it's a Facebook page letter "D" . so you can copy a code from the above list and create a meaning full word . i don't know who created this kind of funny pages but i think it's a really cool trick. you can also create your pages with different letter style ! 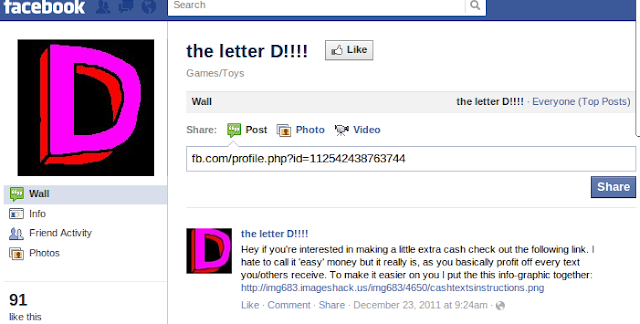 this trick is only for Chat box or fb messages.